The following policy contains the governing philosophy for regulating the use of Lycoming College's technology facilities and resources. Access to the College's technology facilities and resources is a privilege granted solely to Lycoming College faculty, staff, registered students, and those with special accounts. All users of the technology facilities must act responsibly and maintain the integrity of these resources. The College reserves the right to limit, restrict, or extend computing privileges and access to its resources. Those who do not abide by the policies listed below will be subject to disciplinary action. The Office of the Dean of Student Affairs and/or the Office of Information Technology Services (ITS) should be notified about violations of computer laws and policies as well as about potential loopholes in the security of its computer systems and networks. The user-community is expected to cooperate with ITS in its operation of computer systems and networks and with the Office of the Dean of Student Affairs in the investigation of misuse or abuse. Those who use Lycoming College information technology assets are responsible for the integrity of those resources. All users must respect the rights of other users, respect the integrity of the physical facilities and controls, and abide by all pertinent license and contractual agreements. Causing network congestion or hampering the ability of others to use the College's information resources is prohibited. All email accounts using the lycoming.edu domain name and all data transferred or stored using our email system are property of the College. Users should understand that by using College email or other information resources they waive their right to privacy. However, specific to scholarly work, the creator maintains intellectual property rights to works exchanged through the College email system. As outlined in the Use Policy section below, email messages are part of the College record and upon internal investigation, subpoena or other legal process or termination of employment, are subject to review, audit, and disclosure. When composing an email message, users must comply with all policies regarding the acceptable use of the College's information technology assets. The policy of Lycoming College is that a user who has access to protected information must protect against unauthorized access or use of such information, ensure the security and privacy of such information and maintain the confidentiality of all protected information, which includes College restricted (confidential) and private (sensitive) information. This obligation will continue after separation from the College. Such users shall not release protected information to the public, or to co-workers who have not been authorized or who do not have a legitimate business/educational need to know. Any questions regarding release of such information to another person will be directed to the supervisor and/or the Data Owner or Data Steward as outlined in the College's Data Classification Policy. Lycoming College requires a user to abide by the rules, regulations, policies, and procedures of Lycoming College as well as state and federal laws applicable to individual positions at the College. Lycoming College may at any time, revoke access to protected information. The College's communication systems are primarily for educational purposes. The College reserves the right to review, audit and disclose all matters disseminated or stored on its systems. This includes e-mail, voice mail and computers files stored on the College’s systems. Other relevant policies include Data Classification, Electronic File Retention Upon Leaving Employment, Password, and Voice Mail which can be found at https://www.lycoming.edu/its/policies-procedures/. Lycoming College publishes an online directory on our external website (www.lycoming.edu). This information contains name and email address. If you wish to not have your name visible on the online directory, please notify the Office of the Registrar. Lycoming College extends the privilege to each student to utilize the Internet as a component of the College's instructional technology. Personal homepages and social network postings of Lycoming College students reflect only the views and opinions of the student authors. 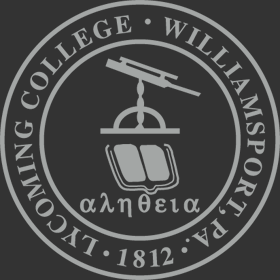 Information on these homepages and online communities do not in any manner represent Lycoming College information; neither does the College accepted any responsibility for their content. All commercial references and/or links on student homepages are prohibited. Lycoming College reserves the right to access publicly available social networks or social networks associated with the College if it is learned such information is evidence or is the appearance of a violation(s) of the Student Code of Conduct. Such information may include but is not limited to the following: harassment; vandalism; underage consumption; intimidation or coercion, or academic dishonesty. Space is available on the College-operated server for organization websites and is provided at no charge to all recognized student organizations. Students are reminded that the use of the College server to host an organization website is a privilege. With this privilege comes the responsibility to maintain organization websites so that they promote clubs and organizations in a positive manner and reinforce the values articulated in the Mission of the College. Lycoming College Student Organization websites reflect only the views and opinions of the student organizations. Information on these websites does not necessarily represent the views of Lycoming College; nor does the College accept responsibility for their content. Questionable content is any material on an organization's website or links to other websites that are determined by the Webmaster for the Division of Student Affairs to violate the principles articulated in the Mission of Lycoming College. The College does not permit information on organization websites that constitutes advertisement for commercial enterprises or promotes personal or financial gain. The College reserves the right to unlink or remove pages immediately upon the notification concerning questionable content of a website. Upon unlinking or removal, the sponsoring organization will be notified of the situation and given the opportunity to explain the questionable content of the website or make changes to the website. If the organization and the Director of Student Involvement cannot resolve the situation, the matter will be heard by the Organizational Standards Judicial Board.